6 fantastic activities you can do in Selous Game Reserve. Selous Game Reserve is named after the late Captain Frederick Selous (1851 – 1917) who died in the reserved and buried in it at Beho Beho. He was a professional hunter who managed to shoot a number of animals, especial the dangerous ones such as 31 lions, more than 200 buffalos and elephants. If I were to narrate the story it will take a decade (I exaggerate that, but it will surely take long time). In this case I would recommend a guide book by Olli Marttila “The Great Savanna” The national parks of Tanzania and other key conservation areas. There is a great story about Selous Game Reserve and others. Having said so let see what Selous has to offer. First af all it is one of the largest conservation areas in the in the world covering 50000km2. The environment is both striking and diverse, a mass of labyrinthine watercourse framed by spectacular borassus palms and ever – changing thickets and miombo savanna. Here roams the mightiest population of elephants in East Africa and the biggest population of buffalo to be seen anywhere on the African continent, and the reserve is also the world’s most significant stronghold for highly endangered wild dog. At the same time Selous is one of the last refuges of the browse, or black rhino. My current three weeks expedition in the reserve left me in awe; I mean it took my breath away despite the fatigue induced by constant classes we took in the wilderness as students. 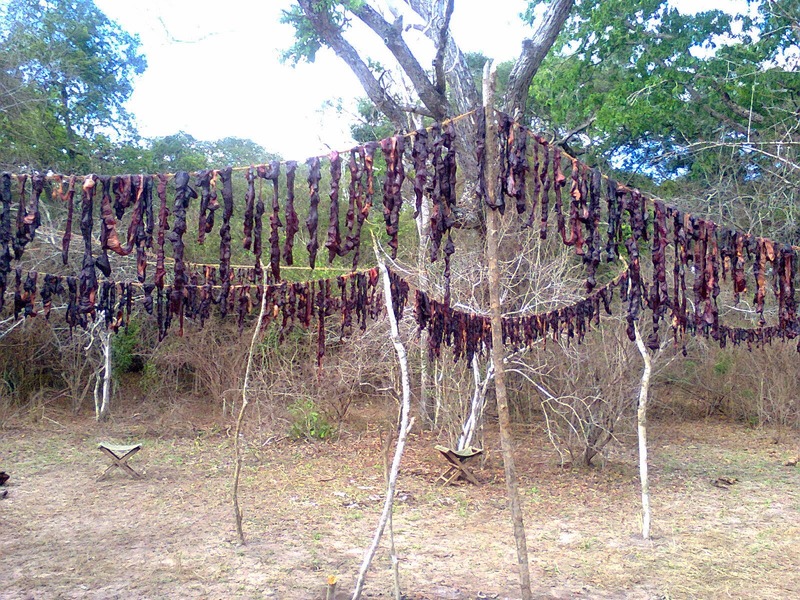 I learnt the techniques of hunting, preparation of trophies “skinning”, making of biltong and guarding at night to keep hyenas away from the biltong. Quite amusing! The Northern part of the reserve is dedicated to photographic tourism know as tourist blocks. This goes as far as from Mtemere gate to Matambwe gate. Plenty of animals are seen here from greater kudu to the lesser you name them. National Symbol of Tanzania "a giraffe". From the late Frederick Selous to myself and possibly you, there is a good quality quota offered here. All it takes is a license or a permit to hunt in the designated hunting blocks. There a number of hunting operators in the country who will facilitate you to your moment of life changing experience. Although I was in a group of students but it was a magical moment experience. Do you have some guts? “I dare you”. Remember hunting exercise is meant to utilize wildlife sustainably and not the other way round. Am your professional hunter to be! It was my first time camping in a large group but still my adrenaline wouldn’t leave me from anxiousness and little bit of fear. Especially on the first few days, am sure you won’t ask me why on this, will you? Anyway there are lot of camp sites in the reserve to mention a few; Hippos camp, Butembo camp and many others. This is out of ordinary in most cases, especially in Tanzania conservation area. Not only that but some travelers don’t take much notice on the transportation mode they chose for their destination. Well I do and what I find cool here is the variety. In 2008 I came to the reserve by “chemin de fer” (French) meaning the train, and this time by vehicle, other option includes aircraft. And if only Rufiji River had no hippos and crocs I would definitely consider a boat ride. 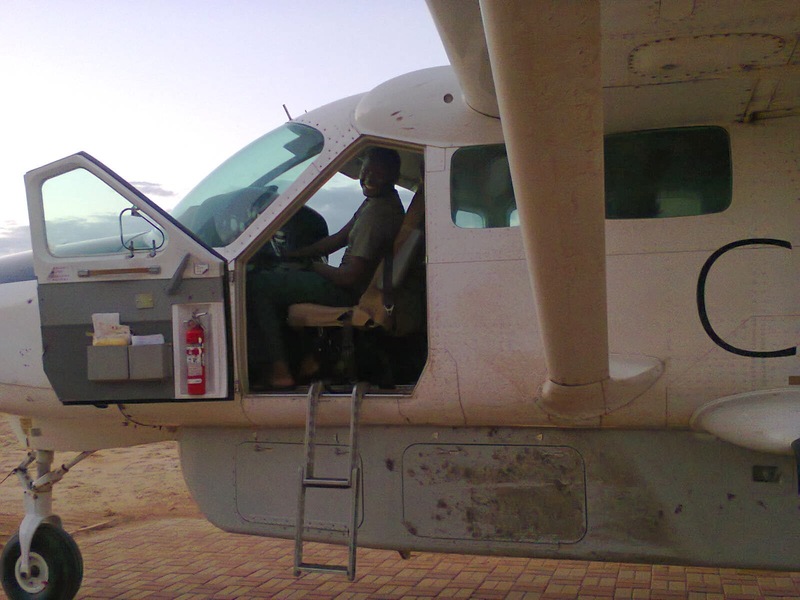 Am your pilot to be. Inspired by Suzan Mashibe. I had my share when conducting transect walk for animal counting exercise and it surely proved to me that nothing beats the calmness and enchanting wilderness. I encourage you to do this and you can plan it with a tour operator of your choice, simply satisfying. I know it sounds awkward but impacting positive effect into someone’s life is totally glamorous. It sure is, most especially when it leads to a win - win kind of situation. Poaching is serious and conservation is still mysterious, trying to be helpful by educating the community adjacent to the reserve could reduce the effects. I know there are lodges out there encourage visitors to donate for their outreach programs, but I think it is high time that we should consider community service as tourism activity as well. Setting down and participating in some activities that the local community do is very amusing as you learn new ways of life at the same time impacting knowledge. Community work by the humanitarian ME with the bucket and other students! My next safari this weekend is to Tarangire and Manyara National parks stay tune for the sensational report coming afterwards. Thank you and good luck.